Back again with another eye tutorial! I love this combination of orange and gold on the eyes especially for summer now that the weather is starting to pick up here in the UK. 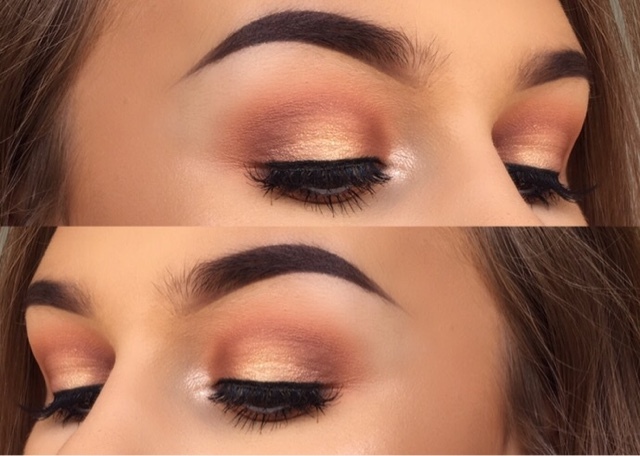 This complete look is using only eyeshadows from the Morphe 35O palette. 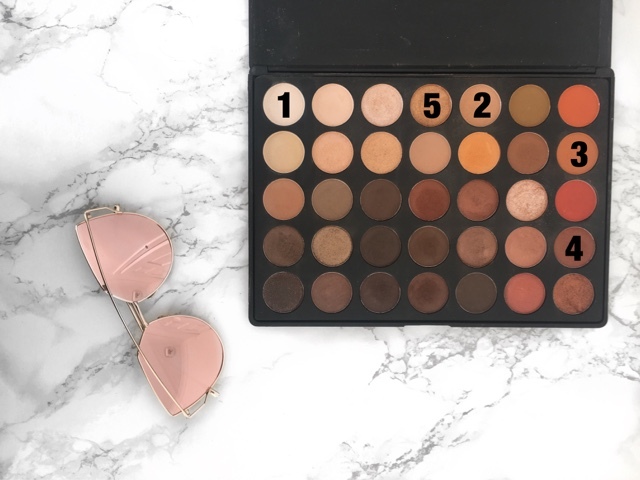 I love this palette so much and I've been using it so much recently it ended up in my May Favourites post. To start off, I applied concealer all over my eyelids from my lashline to underneath my brow and then set this with the eyeshadow marked number 1 in the picture above. Using this light cream shade allowed me to start off my eyeshadow with a blank canvas. Next I used a MAC 224 brush and the eyeshadow marked number 2 in the palette and started in the middle of my crease and used backwards and forwards motions to blend this transition shade, and when there was less product on the brush I blended this up just above my crease onto my brow bone. 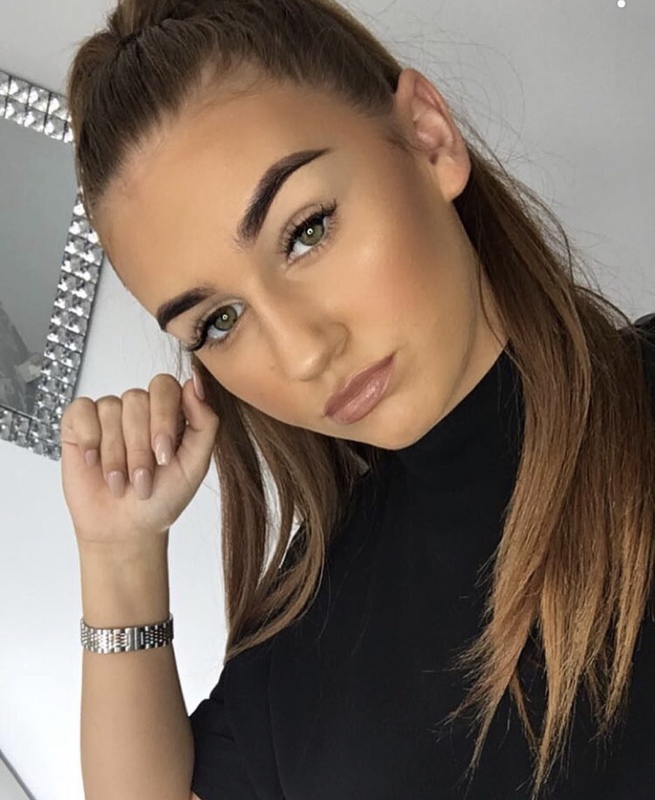 When doing a spotlight eye such as this one it is important not to blend your eyeshadow too far out on your outer corner as we are trying to keep this eye look rounded and not winged. Next up I used a MAC 217 brush and the shadow marked number 3 and blended this directly into the crease keeping it just below the transition shade. I then used the same brush to pack this shade onto the inner and outer corners of my eyes. This shadow is what really makes this eye look have that bright orange look. Taking a Morphe M521 brush and the shadow marked number 4 I lightly blended this into the inner and outer corners of my lid, this was purely to give the look more dimension but I didn't use too much as I wanted the focus to be more on the orange. I then used the burnt gold eyeshadow marked number 5 in the palette and packed this onto the centre of the lid using a MAC 242 brush and blended the edges out with the MAC 217 we used earlier. Using a Morphe E19 brush I used the orange shade (number 3) and blended this on the lower lash line. Popped on a thin line of Morphe gel liner in Slate, some mascara and applied some Ardell demi wispie lashes. Demi wispie lashes are great for when you want your eyeshadow to show through your lashes but still want to have defined lashes. Hope you enjoyed this, let me know what your favourite eyeshadow looks are this summer! See you soon! This look is gorgeous! I have this palette so I will definitely be trying this! I love this look, absolutely stunning! I just ordered the 35Os & 35Om palettes - so excited to try them out and create a look like this one.